Location: Immediately SW of Ty Mawr. Probably C18, and at one time connected to the adjacent Ty Mawr, though a separate and later building. Roughcast render over rubble with slate roof with very tall end wall stack to clear high gable of adjacent property. 2 storeys, 2-window range with plan boarded doorway to left. 16-pane hornless sash windows to right of doorway and to first floor, below the eaves. 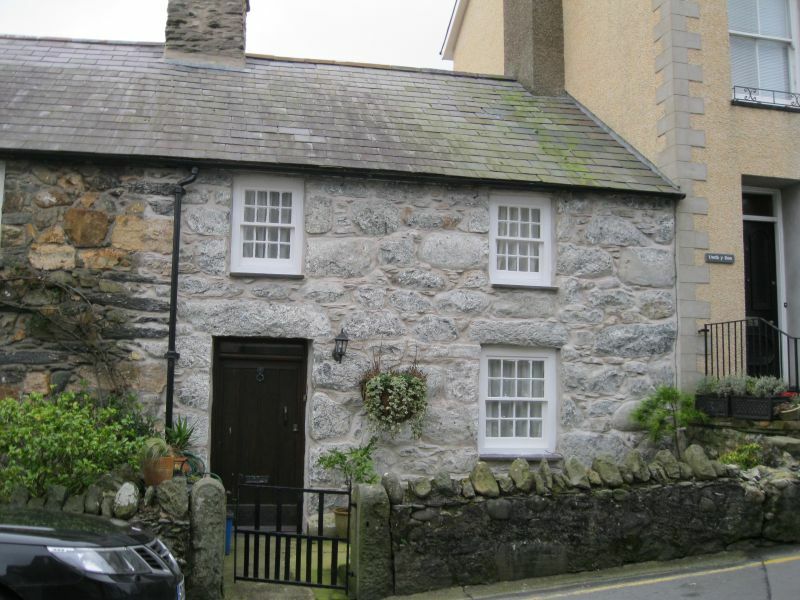 A good example of a vernacular building of the C18, and one of a small number of early buildings remaining almost unaltered in the centre of Criccieth. Group value with Ty Mawr.